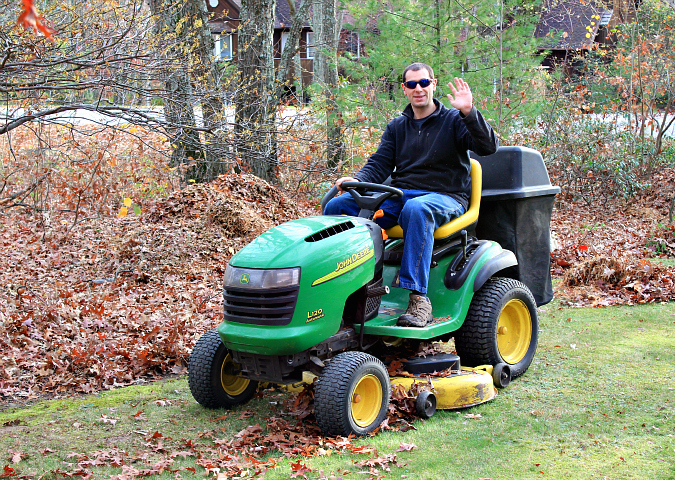 on saturday we headed down to my parents' house for a fall cleanup party. 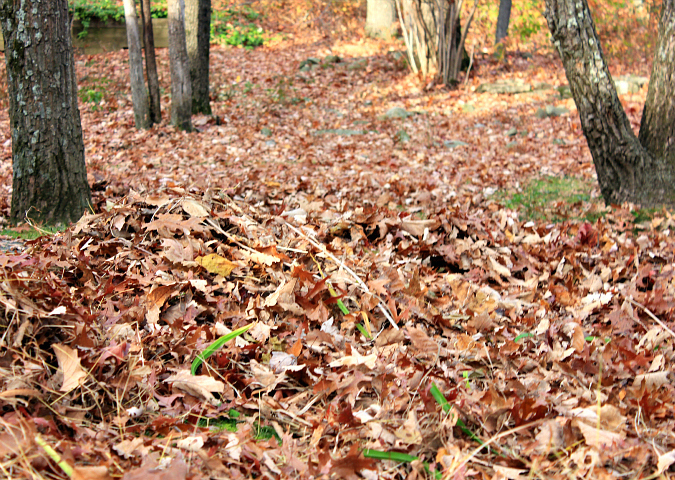 it's that time of the year when the leaves fall, and it is quite a project to clean them all up. 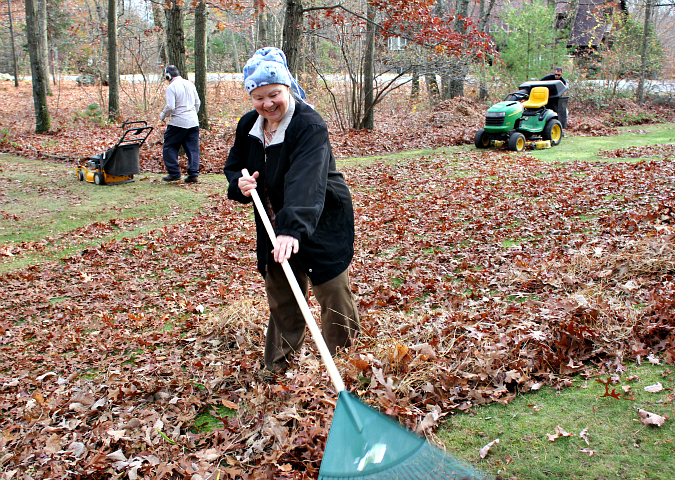 we all got to it and spent a few hours cleaning up all of the leaves on my parents' property. 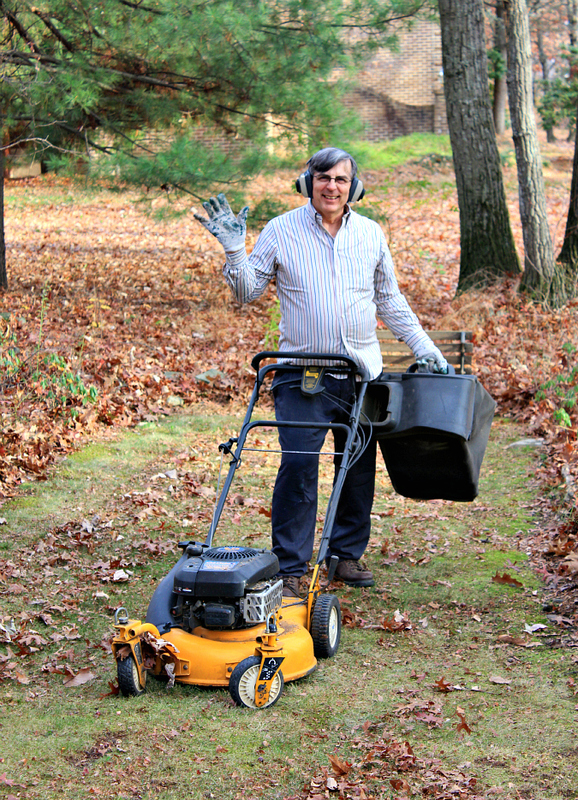 my mom and i were armed with leaf blowers and rakes, and my dad and ryan were armed with the two lawn mowers. they say, "many hands make light work" but my arms and back are still sore this morning from all of that! ryan had a good time riding around on my dad's new mower for sure (and now he wants one of his own)! it may have been an unconventional way to celebrate my dad's birthday, but we had a good time and got a lot of work done! 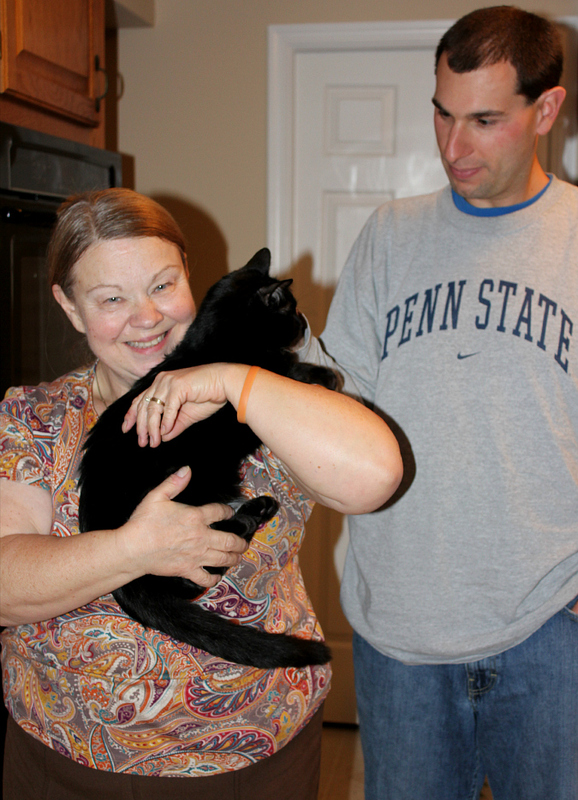 after all of that hard work, we enjoyed kicking back on the couch with two movies, a pizza, some birthday cake, and of course the kitties! A huge, gigantic thank you to the both of you for your help with the leaves. We could not have completed that task without you two. Pizza and cake were delicious. My arms still hurt from raking.